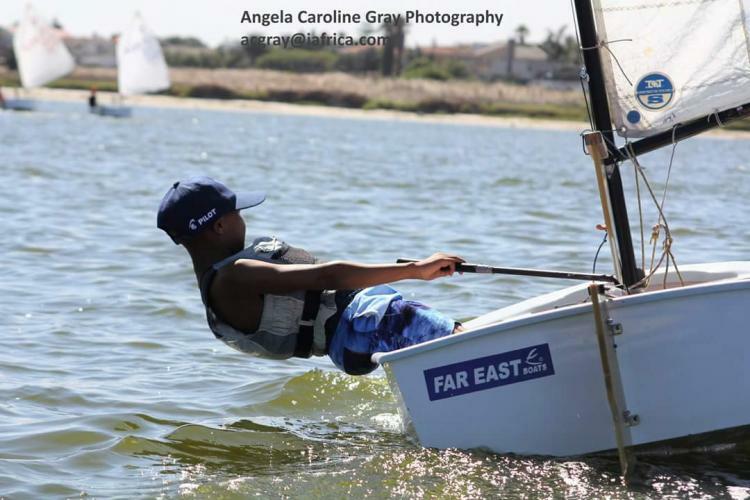 This little unsung hero aced it at the Western Cape Sailing Championship held at Langebaan recently winning the the Small Novice Fleet category. Jean-Paul Buys from Wilderness - well done - we are super proud of you! 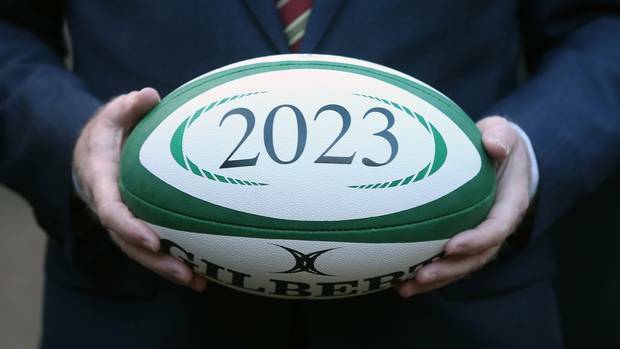 Jean-Paul is an only child who loves sailing and rugby. He is very active and enjoys games, joking around and does pretty well at school. His bubbly personality is contagious and he is well loved by family, teachers and his many friends. Born in George, the only child of Ingrid Buys, Jean-Paul attends Hoekwil Primary and is currently in grade 4. 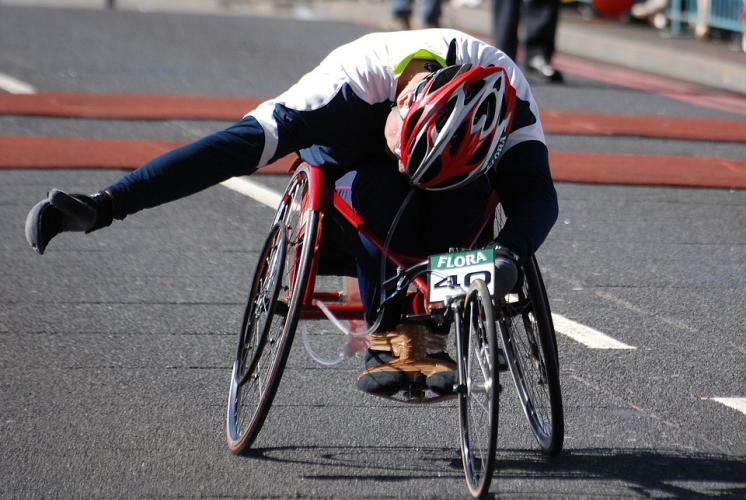 His teachers and friends are very supportive of him and made a big fuss of his latest achievement. Homework is no problem for Jean-Paul and he enjoys history – perhaps he will make history for Hoekwil soon. He loves walking barefoot even when kicking around balls with his friends. Jean-Paul was introduced to sailing by Janis Tennant when he was only 7 years old. 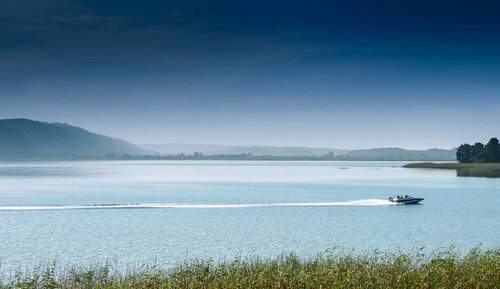 He then joined George Lakes Yacht Cluband was taken under the wing of instructor/coach Evelyn Osborne. 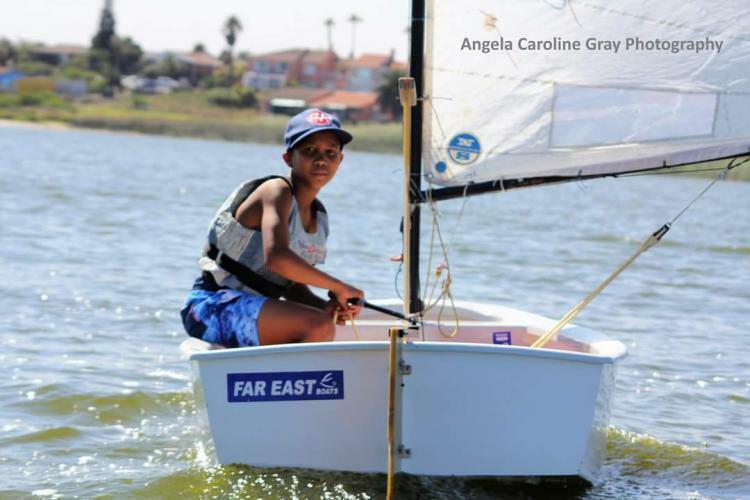 Evelyn’s passion for sailing soon rubbed off on Jean-Paul and it is due to her incredible impact that this young achiever knows no limits. It immediately became apparent that this young man had found his niche in life. Being a natural, Jean-Paul progressed and stood out as one of the youngest members in club sailing in the area. 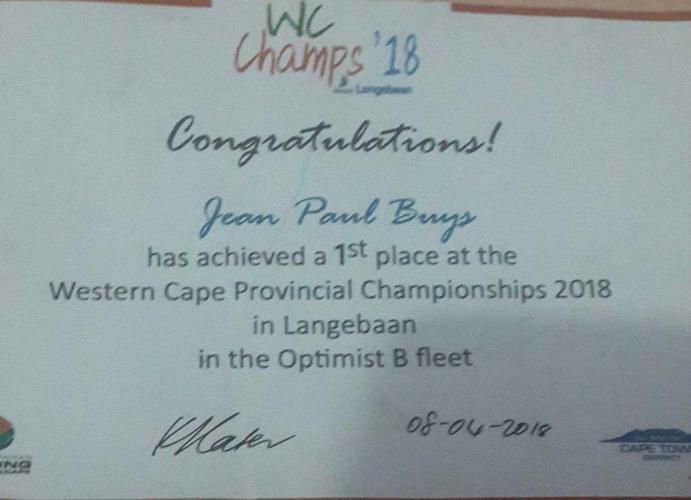 Sailing in the Western Cape Provincial Championships 2018 held in Langebaan has been the highlight of Jean-Paul’s sailing experiences. He aced it and came first place in the Optimist B Fleet. Mom, Ingrid, is his biggest fan and continues to support him. Their “breakfast in bed” routine is when they catch up keeping the bond tight between mom and son. Jean-Paul is a sailor for life and looks forward to sailing on new vessels and experiencing new water.